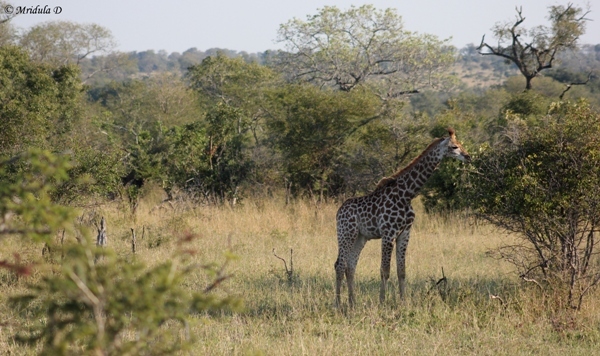 This was my first spotting of the giraffes in the wild as well. 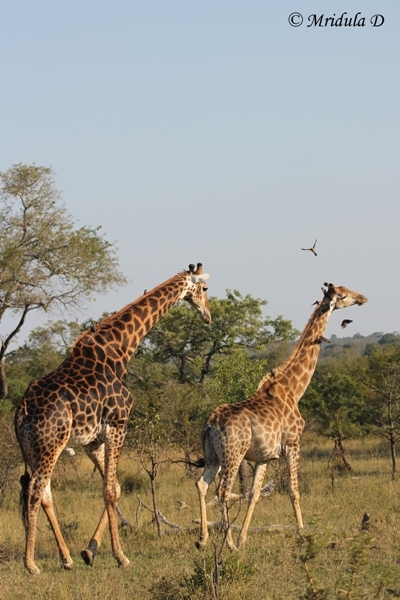 Manyeleti Game Reserve was a treasure trove for me. We first spotted this pair. The male have darker spots than the female. And after this pair came a baby! It was such exciting to see them outside the ABC books. After all since childhood it has been G for Giraffe!